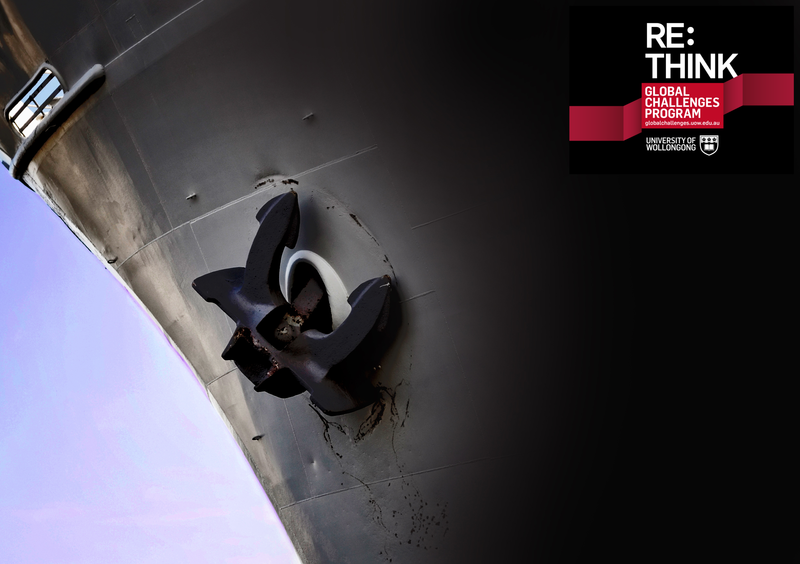 Dragging the chain – does anchoring by large ships impact our marine life? I’m excited to announce that I’ll be joining a multidisciplinary team of researchers, supported by UOW’s Global Challenges program, to investigate the potential impact of large ships anchoring on our marine life and seafloor habitats. As an island nation, we are heavily dependent on shipping, with large ships transporting 99% of our trade by volume. Prior to entering our ports these large vessels may anchor in deep water, often for many days, waiting for their turn to exchange cargo. 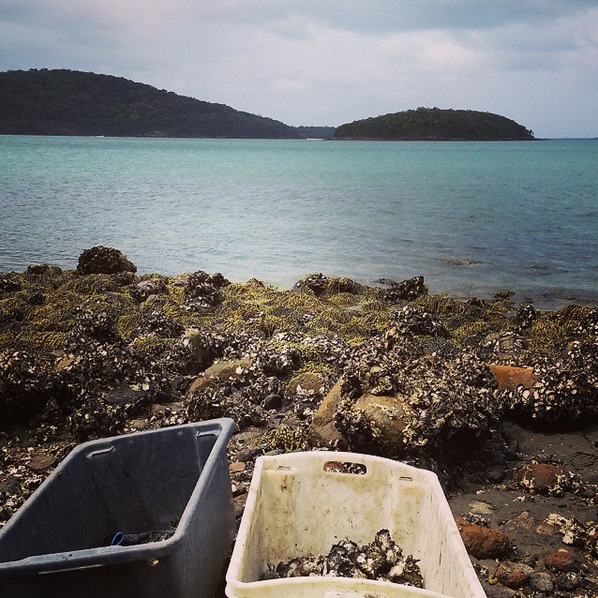 This entry was posted in Human Impacts, Marine Science and tagged anchoring, benthic ecology, biodiversity, fish biology, fish ecology, Global Challenges, human impacts, marine biodiversity, Marine Biology, Marine Ecology, marine science, sessile invertebrates, shipping, University of Wollongong on September 24, 2015 by Matt Rees. 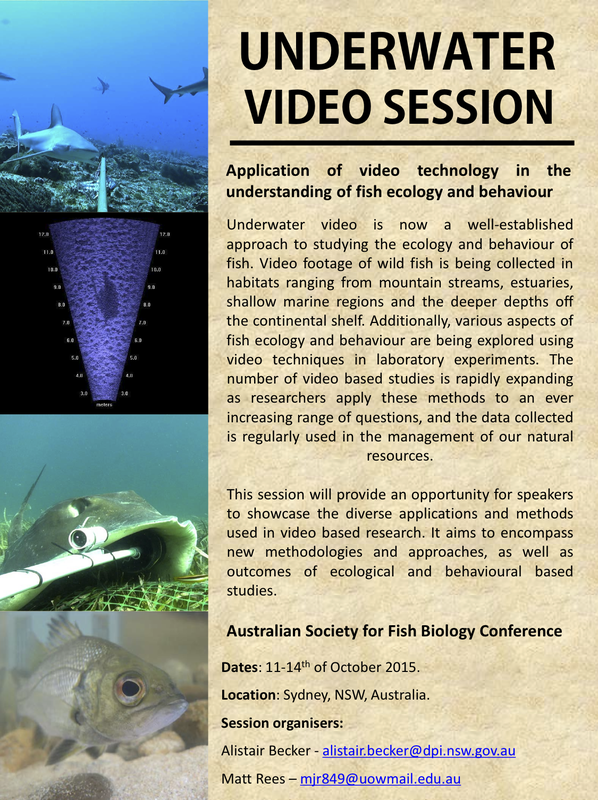 I’m very excited to be co-convening a special session on the use of video technology to better understand fish ecology and behaviour at the Australian Society of Fish Biology conference 2015!! See flyer below for details. Registration and abstract submission ARE NOW OPEN!! Also check out ASFB’s Facebook page here for regular updates. This entry was posted in Marine Science and tagged Australian Society of Fish Biology, Ecology, fish biology, Marine Ecology, marine science, Underwater Video on April 9, 2015 by Matt Rees. The giant mud crab (Scylla serrata) is a beast of a crustacean, capable of reaching 3kg in weight but often caught around the 0.5-1kg range. In Australia, they are distributed in sheltered waters from southern NSW, up through QLD, across the NT and over to Broome, WA. Giant mud crabs have a short life cycle (3-4 years) and are reproductive machines. Females can carry between 2 – 5 million eggs and migrate up to 95km offshore to release their eggs. The young crabs hatch as tiny planktonic larvae, where they can remain in this stage for several weeks at the mercy of ocean currents. This aspect of their biology gives giant mud crabs substantial capabilities for dispersal. 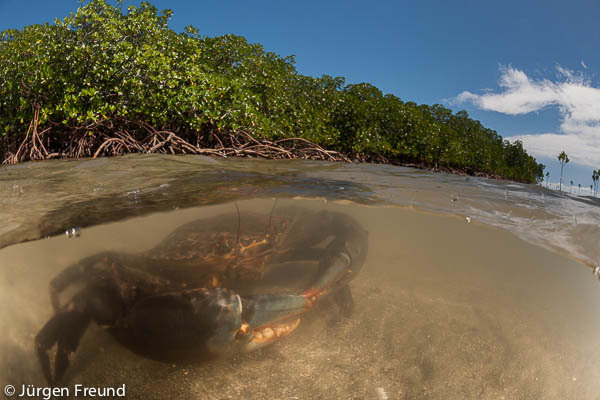 A giant mud crab (Scylla serrata) chillin next to some mangroves on Mali Island. Photo by Jürgen Freund. Check out more of his amazing wildlife photos here and on facebook at Jurgen Freund Photography – Australia. 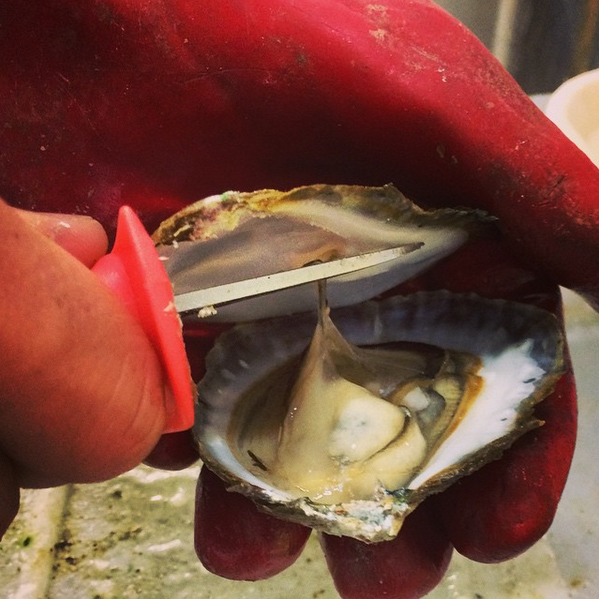 Their prized meat and high numbers within estuaries make them a highly targeted recreationally and commercially harvested species. In NSW, annual commercial landings are approximately 100-120t and the annual recreational catch is estimated between 30-60t. The main method of capture by both commercial and recreational fishers are crab pots, however rec fishers also use hoop nets or dillies. This entry was posted in Ecology, Fisheries, Human Impacts, Marine Science, Sustainable Seafood and tagged Fishing, Marine Ecology, marine protected areas, Marine Research, marine reserves on December 17, 2014 by Matt Rees. Earlier this year my co-authors and I published a paper in Diversity and Distributions that examined a cost-effective way of predicting reef biodiversity for conservation purposes. Here is some background on the issues surrounding the design of Marine Protected Areas (MPAs) and a brief summary of our research findings. This entry was posted in Conservation, Marine Science and tagged biodiversity, BRUV, diversity and distributions, Ecology, Fish, fish ecology, Fish Thinkers, Fish Thinkers Research Group, invertebrates, marine biodiversity, Marine Ecology, Marine Park, marine protected areas, remote sensing, spatial ecology on July 15, 2014 by Matt Rees.